In addition to our culvert services, we offer professional snow removal for local clients around our corporate location. We service both residential and commercial properties, and we will provide continuous plowing as needed until a storm ends. Our snow is hauled from the location to a dump site. 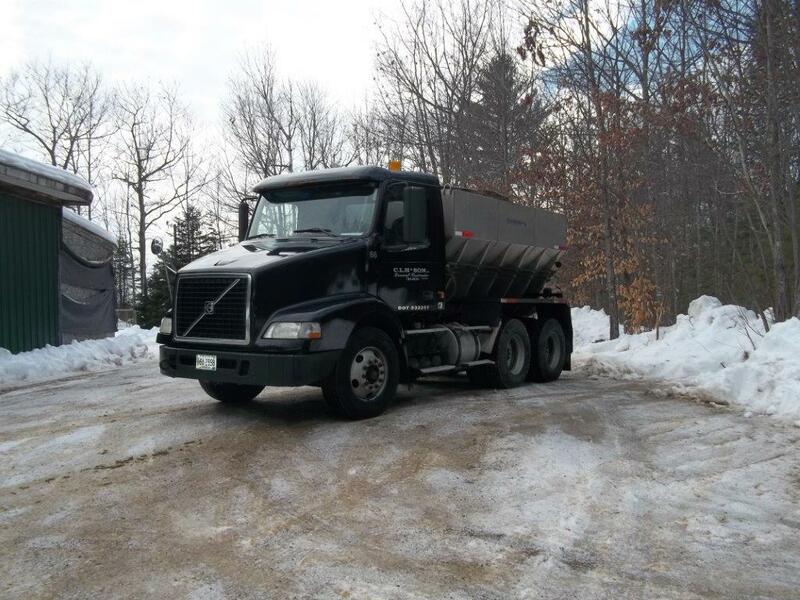 We can also sand or salt lots or driveways, even if you receive snow removal services from another company. Our priority is making sure areas are accessible and safe for travel, and we’re dedicated to delivering our services in even the worst of storms. We will return your area to bare pavement as soon as possible – and keep it that way. Snow removal in Auburn, Maine and surrounding areas. If you are interested in our snow removal services, please contact us today. A large part of our industry is understanding the environment, and our professional team has the experience to back their ability. For decades we have been helping municipalities and commercial customers prepare sitework. If you need our services, we’ll be there for you. When we’re out clearing the snow or salting the roads, we’re constantly keeping on eye on the culverts we pass. The problem is, they can look fine from the road, but upon closer inspection they can show clear signs of deterioration. It’s important to have your culverts, both in-ground and inverted, checked on a regular schedule.